Apologies for the long delay - this post was supposed to come a week after the last one however the Easter holidays sneaked up on us! The time off was relaxing and productive and as well as everyone taking a break I was able to visit no less than 4 preserved railways over a 10 day period - the Bodmin and Wenford Railway, the Helston Railway, the South Devon Railway and the Swanage Railway. Three of those are probably familiar to most UK readers however the Helston Railway may not be. Started in 2005 and with none of the original track-work or infrastructure in place, a small group of volunteers have re-laid a mile of track of this classic GWR branch line and now run regular trips in their restored brake van to raise money to extend the line further. They also have the obligatory second hand book shop which is full of bargains and they serve some excellent toasted tea cakes! They are a very committed and friendly group of enthusiasts and if you go on holiday to Cornwall, or are lucky enough to live there, I highly recommend a visit and if you can volunteer you'll be able to join something rather special. Ok, enough of the holiday reminiscing.. the USATC S160 add-on feature list. Note: As it's currently in testing it may be subject to minor changes. So that about wraps things up for the S160, which hopefully will be cleared for release on Steam in the near future. We'll keep you posted as we work with DTG to pass testing. Coming next on the blog, some early proof of concept videos of the GWR TPO and WIP pictures of the GWR Saint(s) under construction. QUestion RE. the saints, will it just be the saints (2911-2930) or will there be the Scott, Lady and Court variants too? This is fabulous. I am SO looking forward to the TPO and the Saint, then only the Star will be gone. God's Wonderful Railway is almost all here when it comes to express 4-6-0s in TS. The TPO is fabulous. I have been saying we need one and making due with a BR era one. Do i need Horseshoe Curve in order for the S160 to work i have the West Somerset Railway and Riviera in the 50s. Good question: no you don't need all of the routes. 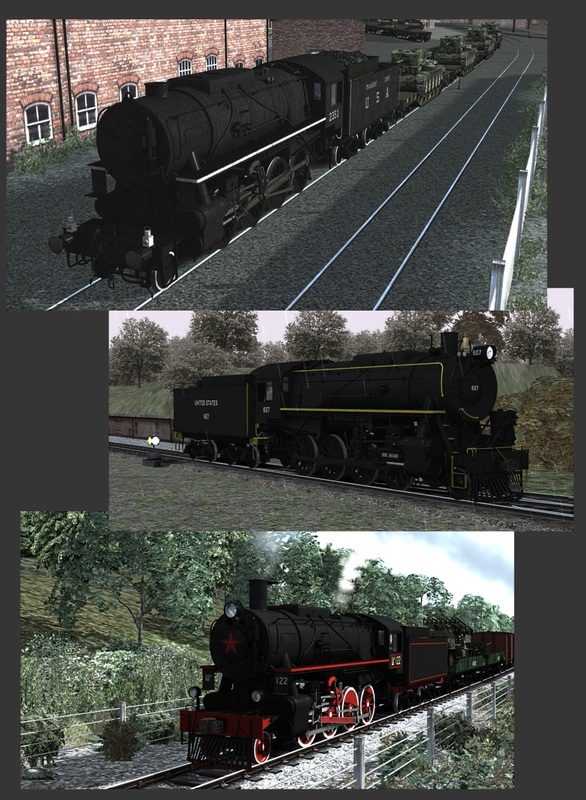 We deliberately provided scenarios for 3 different routes so hopefully people would have at least 1 of them, but you could even buy it without owning any of the routes and use all of the locos on quick drives and/or Workshop scenarios.